After hotel pickup, you will start your evening with a ride on a remork-moto which is a common form of transportation in Siem Reap. You will zip through the streets, heading off the tourist trail and straight into local street food culture. Your knowledgeable guide will uncover hidden treasures and recommend local snacks, such as yellow bean cake or Khmer rice cake. 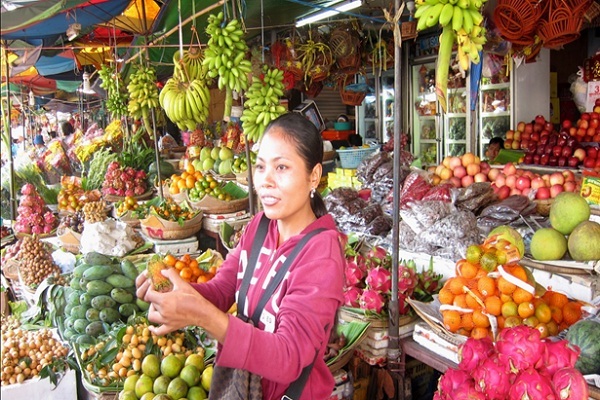 In your tour, you will enjoy a tasting of unique seasonal fruits grown in and around Siem Reap, like the purple kiwi-like dragon fruit, tiny (but sweet) pineapple and the stinky king of all fruit – the mighty durian. Your guide will point out the spices and other ingredients featured in local food and explain traditional remedies used for medicine. Then you will continue to a popular picnic spot where food stalls get set up in the early evening and sell a multitude of interesting snacks. As you wander around with your small group, you might see Siem Reap delicacies like fried tarantulas (usually enjoyed with a cold beer) and fried crickets, which taste like potato chips. You will have a variety of mouthwatering dishes to choose from, including barbecued meat on skewers, Khmer fried chicken, duck eggs, green mango served with chili and salt, and deliciously sweet purple mangosteen. 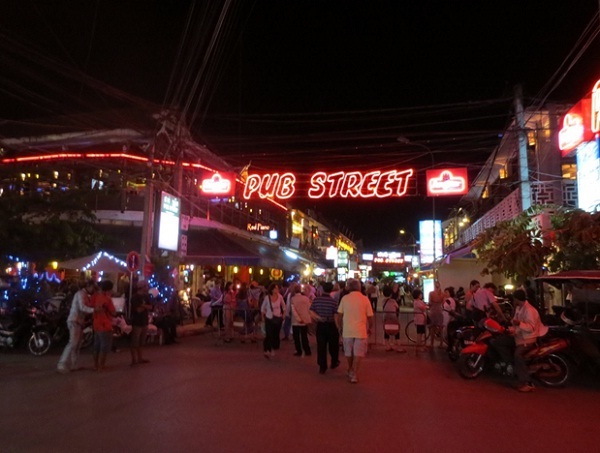 After dinner, you will have the option to be transferred to your hotel or end your Siem Reap food tour at Pub Street – a convenient spot that is perfect for exploring local bar and cafe life for a great night out. Stemming from a culture at least 3,000 years old, Khmer cuisine is one of the oldest in the world. 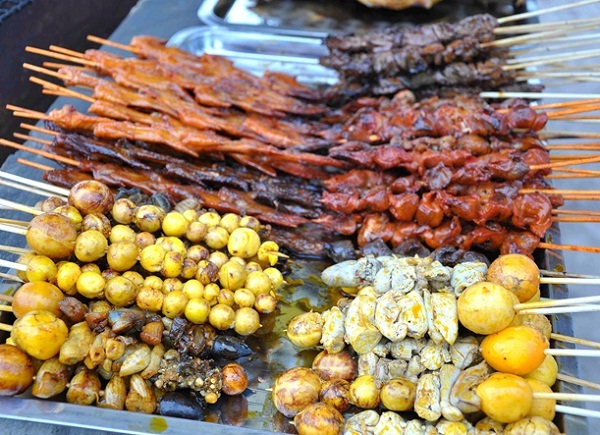 Siem Reap’s street food is influenced by Thai, Vietnamese, Chinese and French techniques to form a style and flavor profile that is uniquely Cambodian. 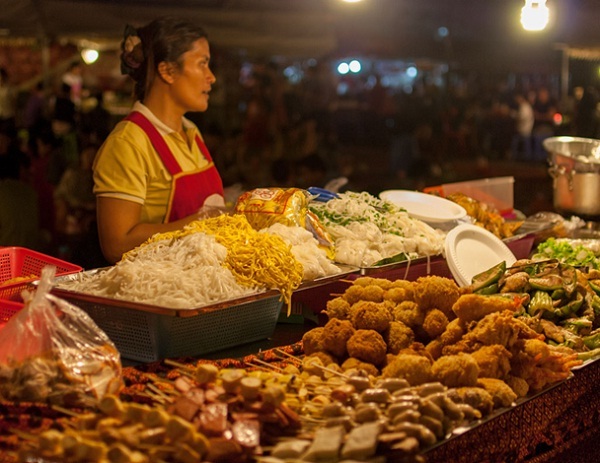 Therefore, enjoying Cambodian street food is a thing that you cannot miss in your Cambodian travel. Let’s spend your time to travel Cambodia and book a Siem Reap street food evening tour! You will have many opportunities to explore one of the Asian world’s most delightful but least understood cuisines.